STAR WARS AFICIONADO WEBSITE: CLASSIC IMAGE: THE BOY WHO WOULD BE VADER! 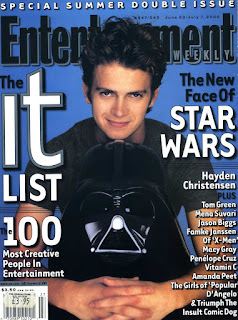 Having suffered extreme nerves at auditioning for George Lucas- so much so that he was physically sick both times with worry, Hayden Christensen would win over the STAR WARS director with his edgy James Dean-esque looks and star-on-the-rise acting talent to become the new young adult Anakin Skywalker for the final two sequel films of the Prequel Trilogy. 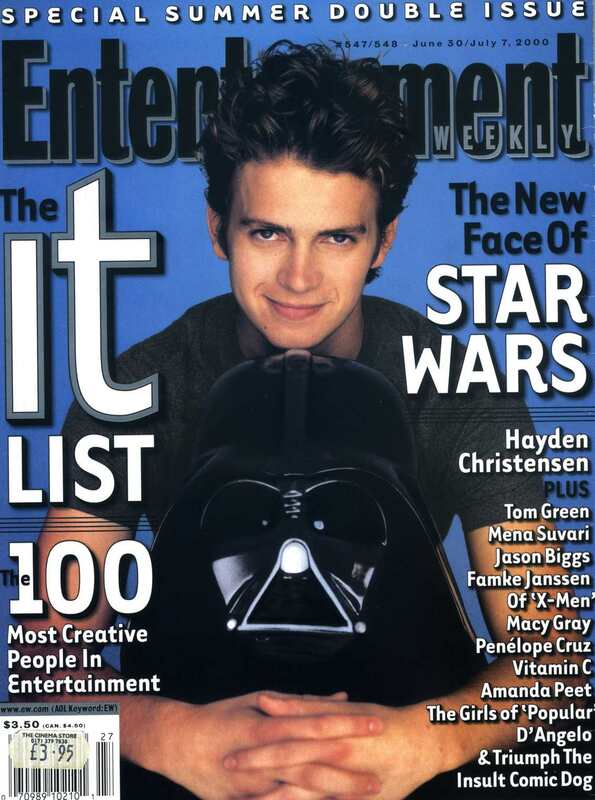 The annoucement of his becoming Darth Vader soon made him an international name and placed him squarely on the covers of many worldwide magazines.